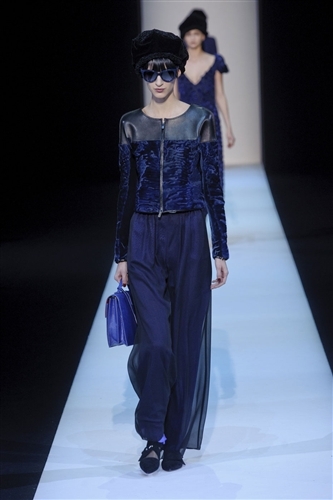 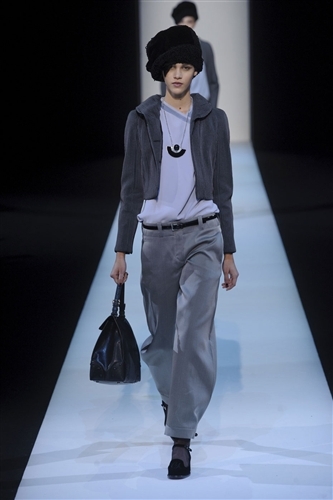 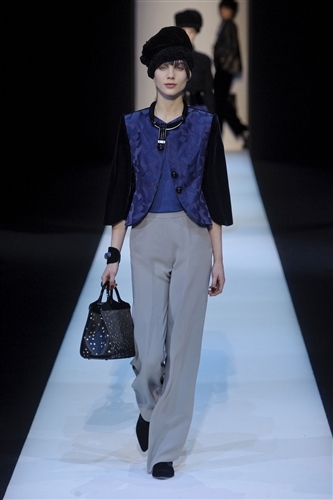 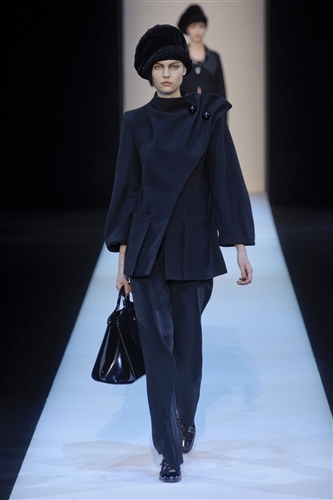 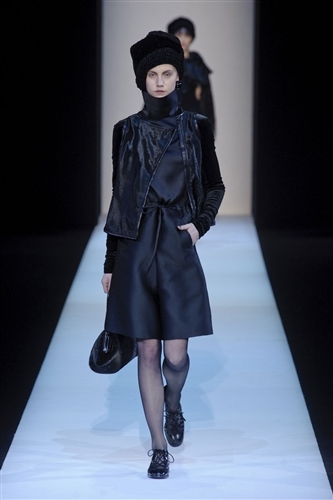 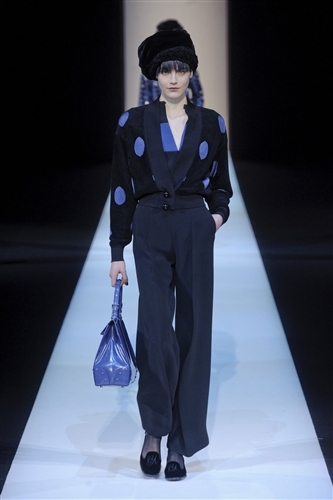 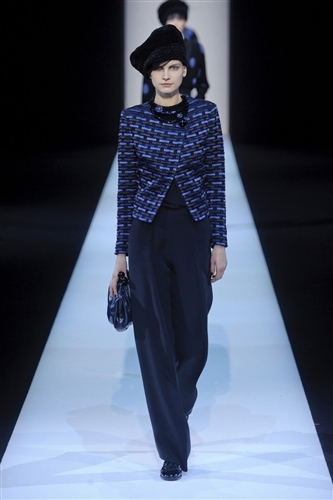 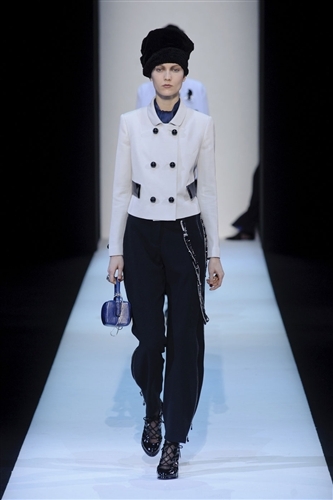 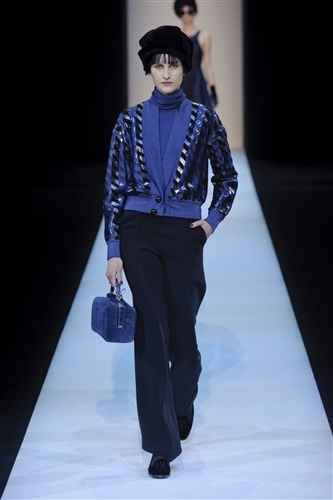 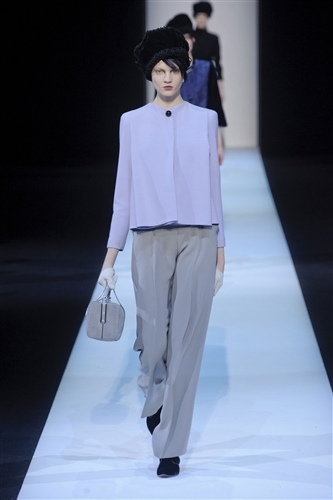 The Giorgio Armani collection was a much more serene and simple take on the new season than the Emporio line. 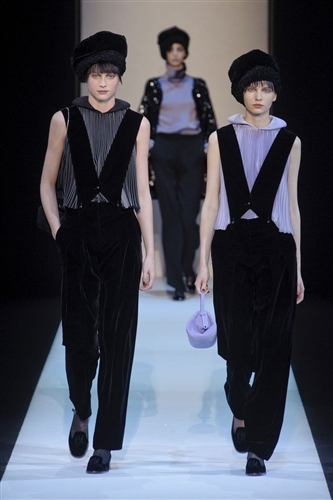 Georgio kept the collection understated by sticking to a monochrome colour palette, though occasional touches of pastel purple appeared, it was a largely dark and serious affair. 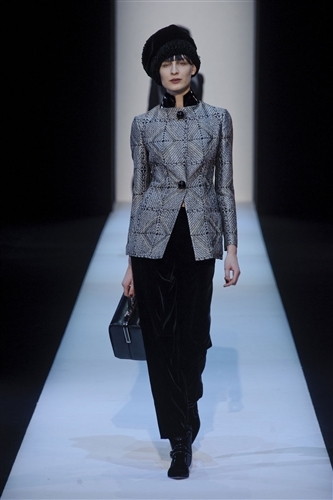 The collection was called ‘Garconne’ and this masculine theme was apparent throughout all of the designs with wide palazzo pants, bomber jackets and sharply tailored suits. 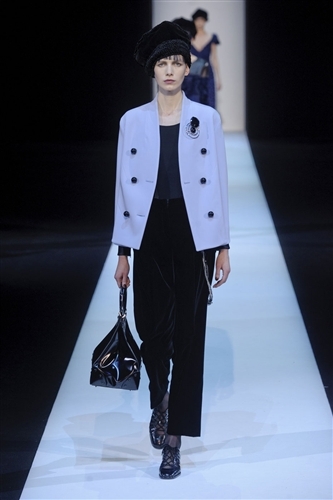 Even the eveningwear was taken over by the masculine aesthetic with jumpsuits and sleek trousers. 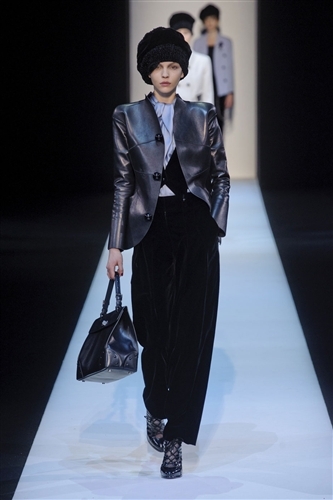 It wouldn’t be an Armani collection without some glamour however, and touches of sparkle and exposed flesh added some glitz to the designs and provided a feminine touch to contrast with the tailoring.